Can We Trust the Gospels? Interview with Author Peter Williams. Are there good reasons to believe the Gospels are reliable? What are the strongest reasons we can trust them? 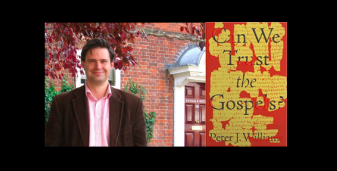 Sean interviews author Peter Williams.